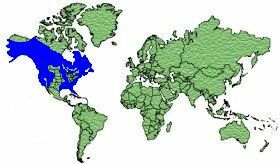 Marine coasts in all states and territories of the United States and Canada. 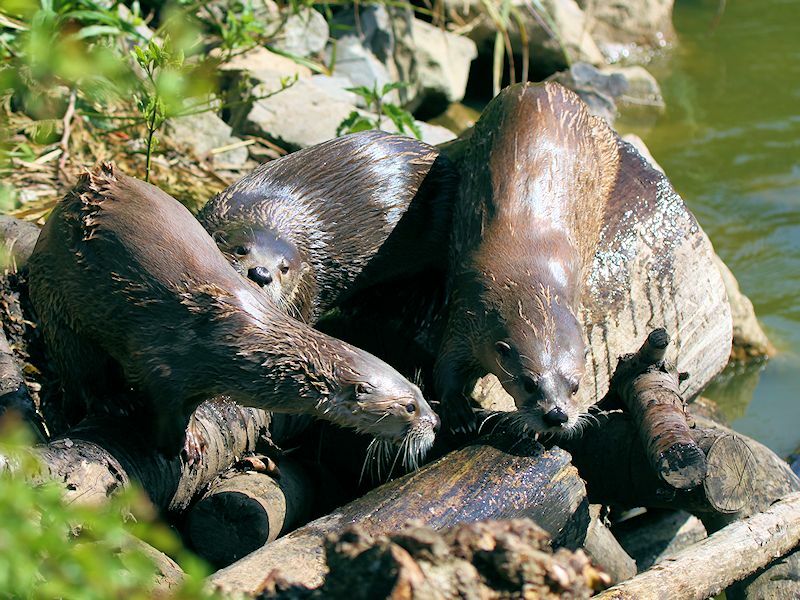 River Otters are very playful animals and can very often be seen playing games. 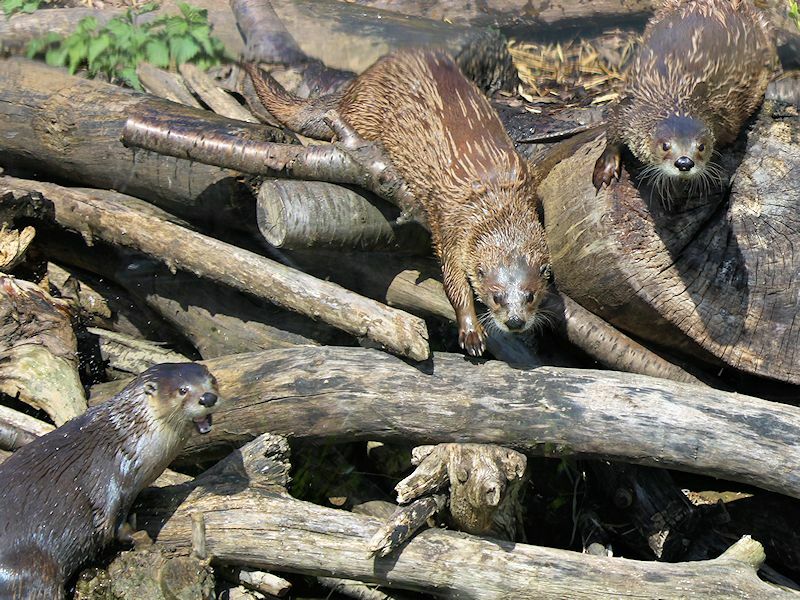 Social groups are typically made up of adult females and their pups. 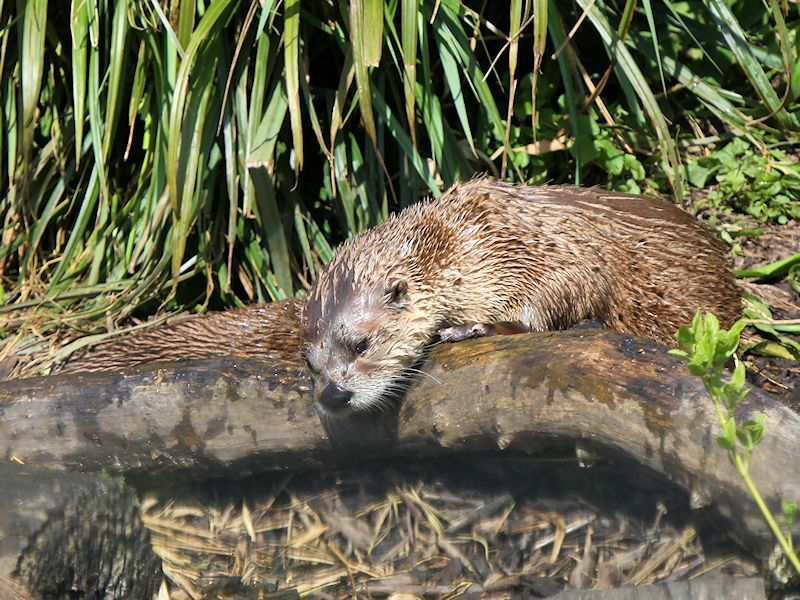 However, there are also groups of individual males. 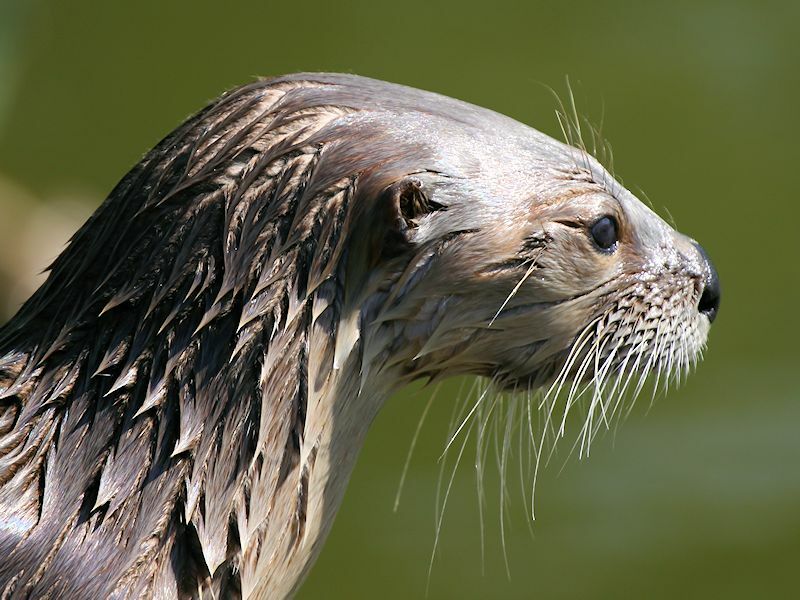 River otters are most active at night. 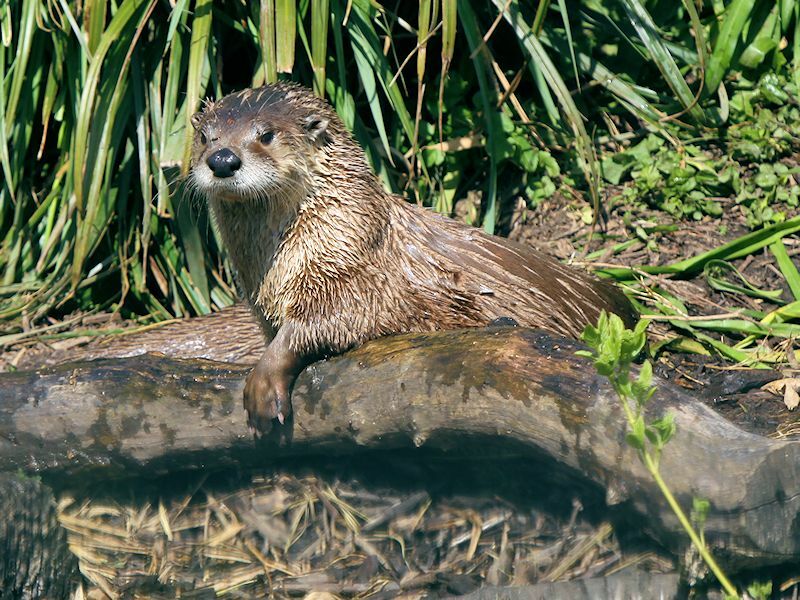 The River Otter will only settle in a location with sufficient coverage, usually vegetation or physical structures, such as rock piles. 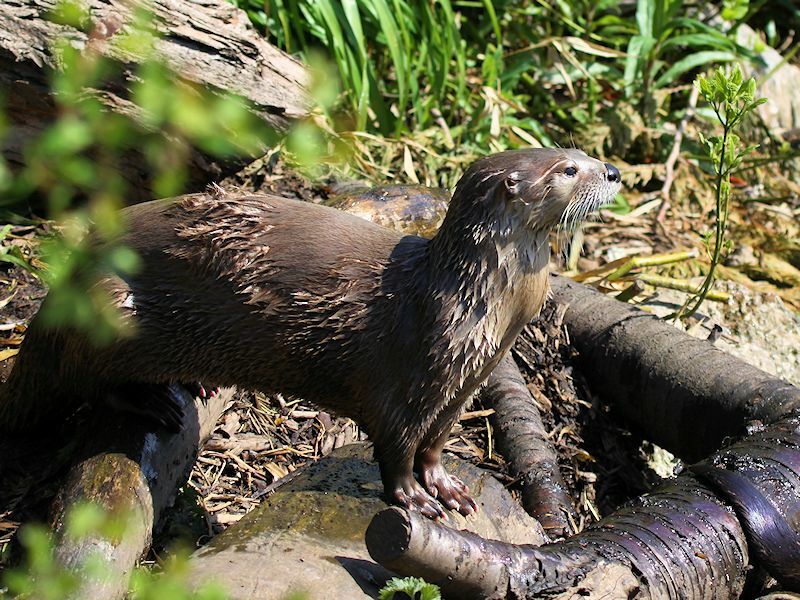 The River Otter builds a burrow close to the water's edge, which typically has many tunnel openings one of which generally allows the Otter to enter and exit the water. 5 to 14 kg (11 to 30 lbs). 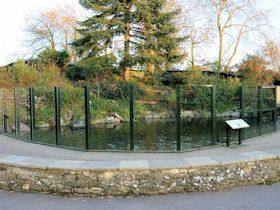 In Captivity: 20 to 25 years. 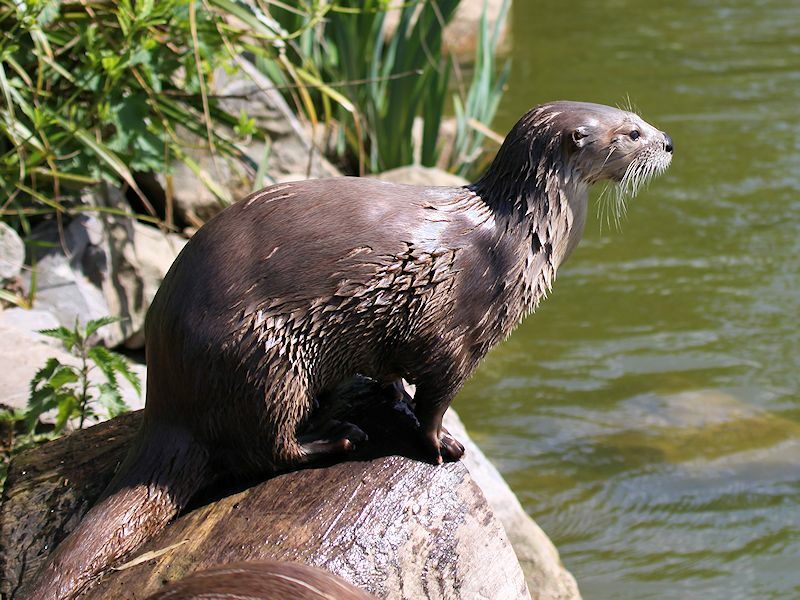 Streams, Lakes, Reservoirs, Wetlands and along marine coasts of the United States and Canada. 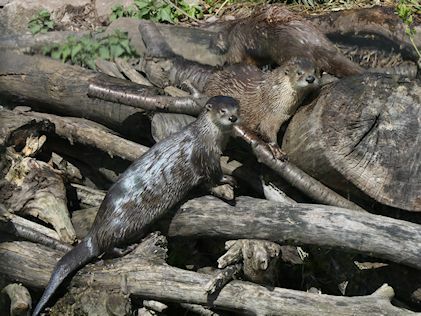 They primarily eat Fish, though they will also eat Crustaceans, Mollusks, Insects, Birds, Oysters, Shellfish, Crabs, Crayfish, Frogs, Rodents, Turtles and Aquatic Invertebrates. 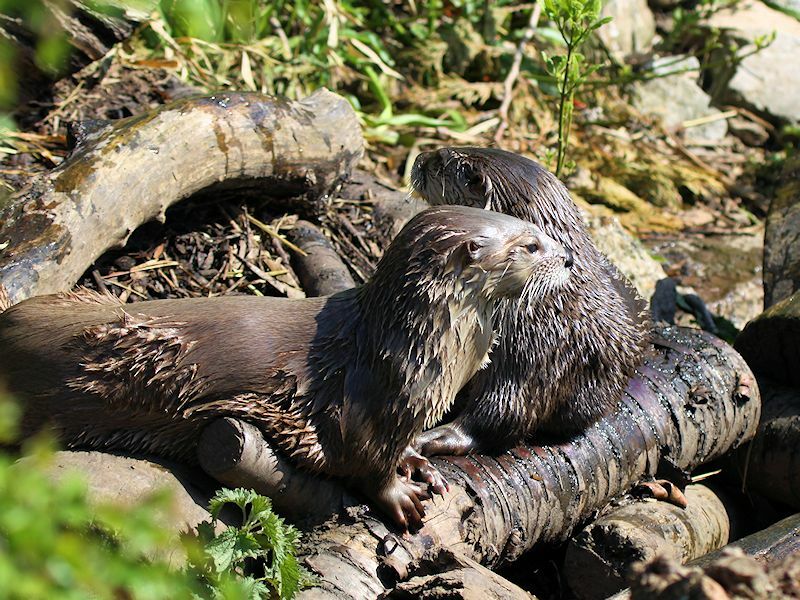 There are three North American River Otters at WWT Slimbridge, namely Mother Flo, and twins Minnie and Ha Ha. 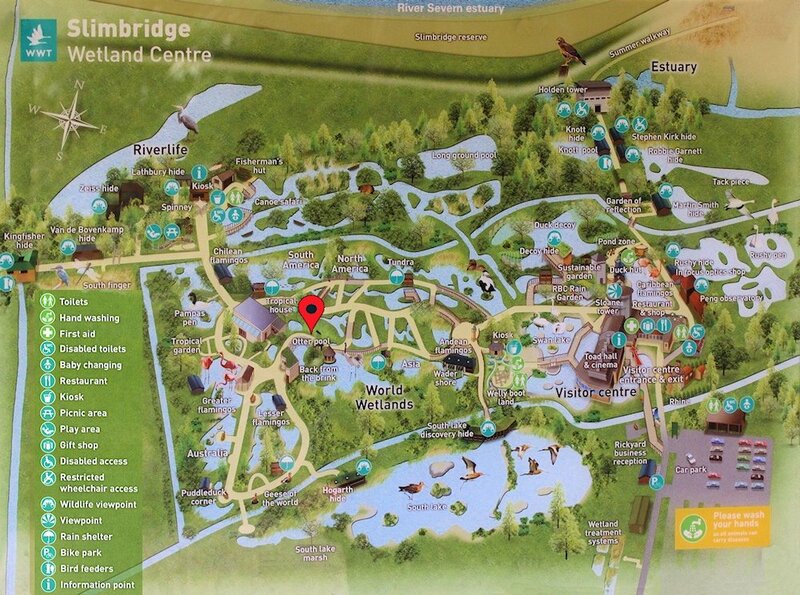 They have been part of the 'Back from the Brink' wetland area since the summer of 2009. 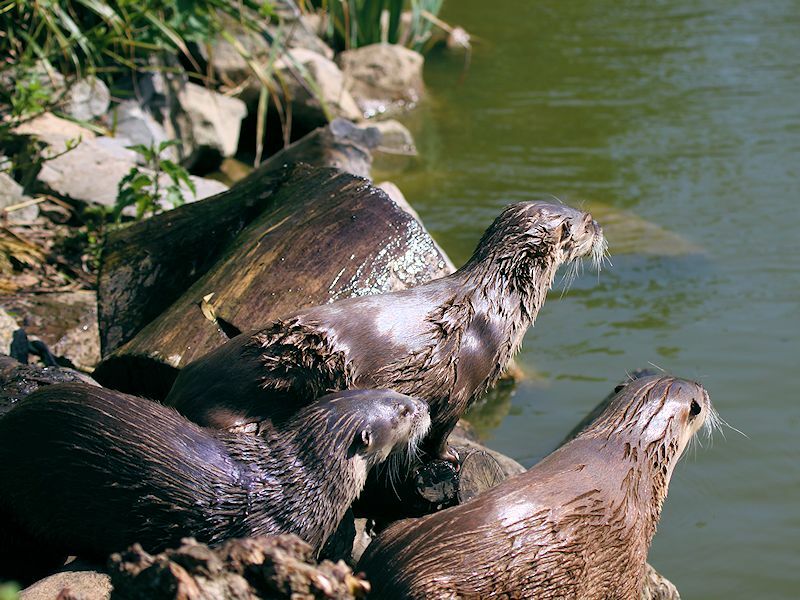 To get the most out of the experience of meeting the Otters, make sure you visit them during one of the daily commentated feeding sessions.